Romantic Scottish Winter Wedding Package - Perfect for destination weddings! Have you been lusting after the perfect winter wedding in Scotland? Perhaps you wish for a runaway elopement to a Scottish castle or maybe you are considering a small, intimate destination wedding to include just your nearest and dearest friends and family. Such things may sound wonderful but can be an overwhelming outcome to achieve, especially if you are planning your Wedding from abroad! 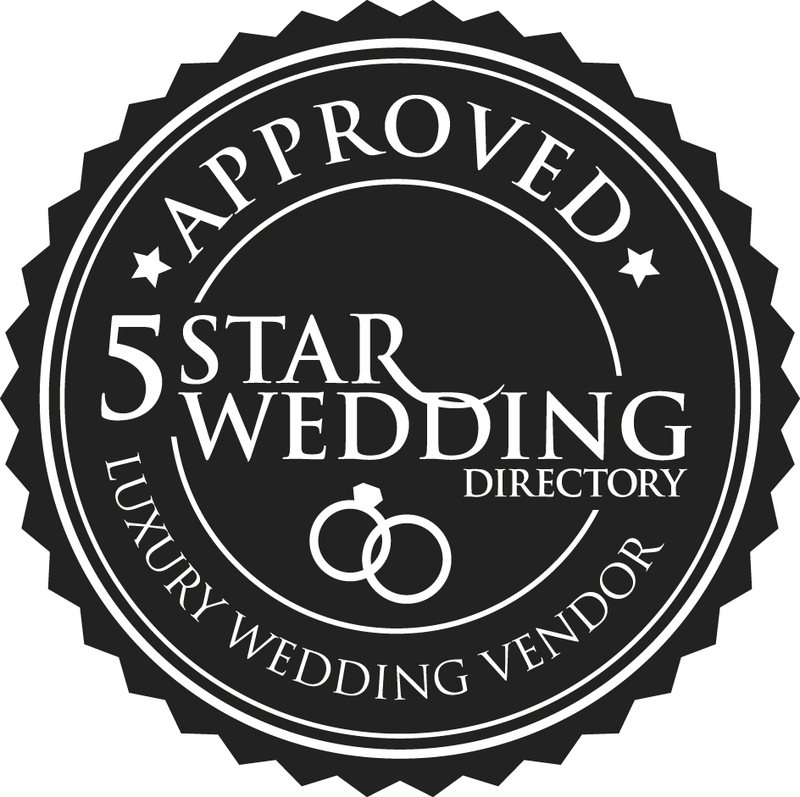 Assistance from our destination wedding specialists to help you with the paperwork process and to source 5 incredible suppliers on your behalf. They will even put together a wedding file and timeline for you – so that you can be assured everything is under control. 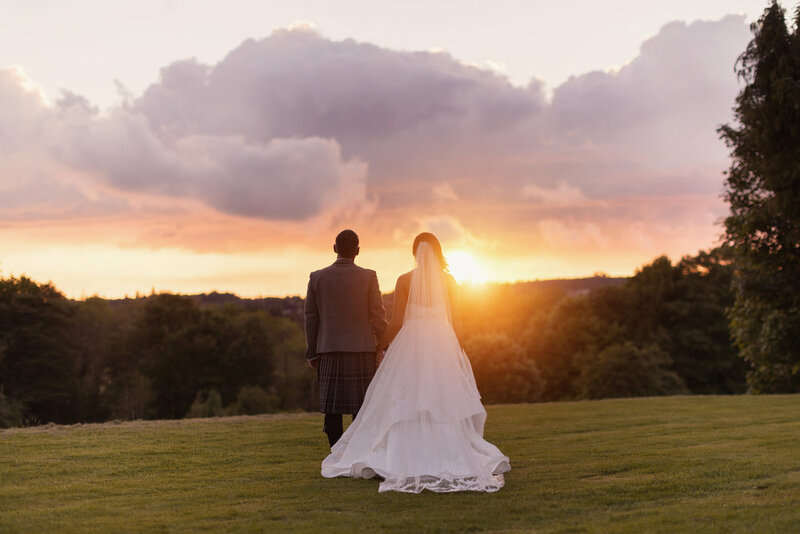 You perfect destination wedding in Scotland could be right here, read on to find out more. With a 700 year old tower and an ancient medieval square, Drum Castle was gifted to the Irvine family in 1323 by Robert the Bruce. 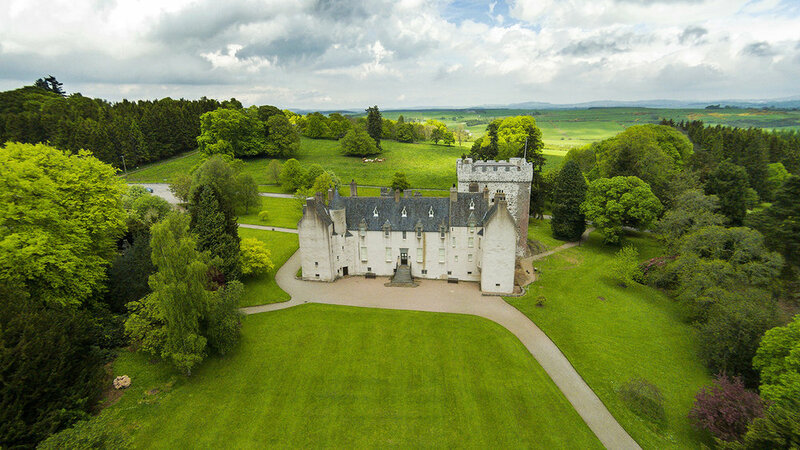 Complete with its own small Chapel, built in the 16th century, Drum Castle is the perfect historic Scottish Castle to host a religious wedding for up to 50 persons or a civil/ humanist Wedding or blessing for up to 70 people in the fabulous library of the castle. With room for plenty guests, this venue is also a perfect match for eloping couples. After your Ceremony, enjoy the stunning setting of the estate, including the Garden of Historic Roses and the ancient oak forest for beautiful wedding photography, as well as the possibility of photographs inside the iconic castle itself. Arrive to the beautiful and luxurious four star Ardoe House Hotel the day before your Wedding and enjoy the comforts of your standard bedroom and access to the on site spa the day before your Wedding, before enjoying having your accommodation upgraded to a luxury Bridal suite for your Wedding night. On returning to Ardoe House from your Ceremony, yourselves and your guests will be greeted with an arrival drink to enjoy before being called for dinner. First up, the speeches by your close friends and family (washed down with a glass of fizz of course), followed by a delicious 3 course Wedding breakfast with wines to enjoy throughout dinner. Tea and Coffee will follow and later in the evening a buffet bacon rolls or traditional Scottish stovies to ensure nobody goes hungry! Your guests will benefit from flexible bedroom bookings and 10% discount on rack rates at the time of booking your wedding – So everyone can enjoy the chance to stay at this beautiful luxury hotel in the gorgeous Scottish countryside, just 15 minutes from the city of Aberdeen. To obtain this special package you must book your Wedding through Timeless White and their partners Destination Weddings Scotland. Weddings of 12 persons or less will be privately accommodated for the Wedding meal in the Whisky Bar or Fraser Suite at Ardoe House Hotel. Weddings of 13 persons or more will be privately accommodated for the Wedding meal in the Fraser suite at Ardoe House Hotel. Timeless White are prestige Scottish Wedding Planners, offering tailored Wedding planning packages and a unique Wedding Hire collection to Bridal couples who are being married in Scotland locally or who live abroad. Thank you very much for contacting Timeless White - we hope to be in touch with you very shortly!